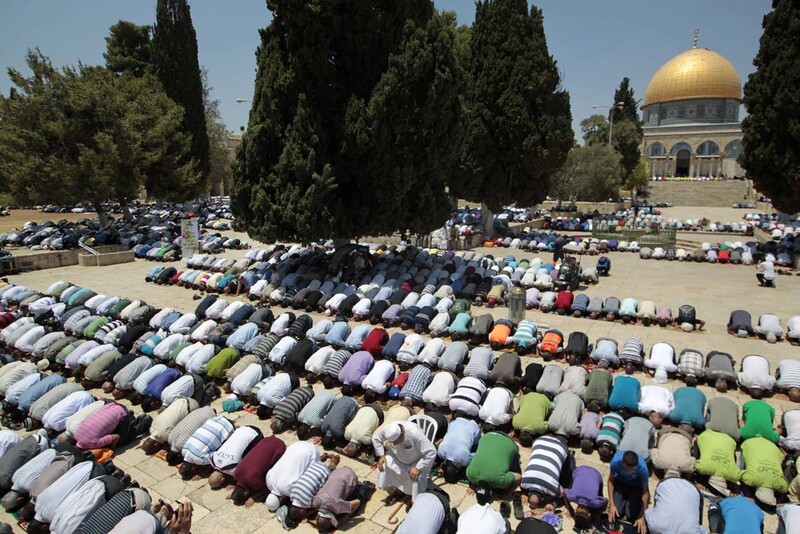 The Muslims put their butts up against the Dome of the Rock, when they pray at the Temple Mount. Tensions were rising Wednesday between Israel and Jordan over Likud MK Moshe Feiglin’s bill proposal to end Israel’s practice of forbidding Jewish prayer on Temple Mount. The Knesset discussion of the proposal Tuesday has caused uproar in the Jordanian parliament, where 86 out of 150 MPs voted Wednesday in favor of expelling Israel’s ambassador to the Kingdom Daniel Nevo and recalling Jordan’s envoy to Israel Walid Obeidat. “This was in protest at the Knesset debate. It is up to the government to act on the vote. If it does not, we will consider a no-confidence motion,” Khalil Attieh, a prominent lower house deputy, told AFP. Not surprisingly, The Muslims are praying with their butts towards the Dome of the Rock, when they do their religious rituals. Their turn towards Mecca.That is where their heart is. Not loyal to the Zionist state of Israel, not concerned about what is not holy to Islam. When the Kingdom of Jordan occupied Jerusalem from 1948 to 1967, all the synagogues in East Jerusalem were destroyed. Any Islamic claim to this city of Jerusalem, is offensive for all truth seekers. The city of Jewish King Davis was never considered an important part of the Islamic faith, not before the modern Zionist homecoming of the Jews around 1880 A.D. The city of Jerusalem is not even mentioned in the Koran. Not even once. The city of Jerusalem is the city of God of Israel. He sent His begotten Son to this city, to die for the sins of the World. This Son will return as the Lion of Judah, and set up His judgment throne in Jerusalem. Most likely on the Islamic occupied Temple Mount. Be wise. Renounce the evils of Islam. I am not a violent man but I think it is about time that Israel removed the muslims from Jerusalem. The muslims are making a mockery of God’s holy city. Why do they have to even be there if Jerusalem is not even mentioned once in the Koran? It makes no sense. They are trespassers, it is as simple as that. The Jewish people should be allowed on the Temple Mount, it is scandalous that the space that Jewish people should be using is currently occupied by muslim people. If they can remove the muslims peacefully, get them out. I fear this will not be possible but they truly have no place in Jerusalem.